© Geoff’s Rail Diaries 2011 I'd been fancying a trip to the Scottish pits for a year or two. I'd made an abortive trip a couple of years earlier - only to find it was the pit holidays....(what was that about planning???) In August 1978, I achieved that ambition - with only limited success. We stayed the night at Dalmellington, in Ayrshire's Doon Valley ("they used to have an 'Eyes Doon Bingo Hall' here", my colleague commented). Sadly, we had arrived too late. 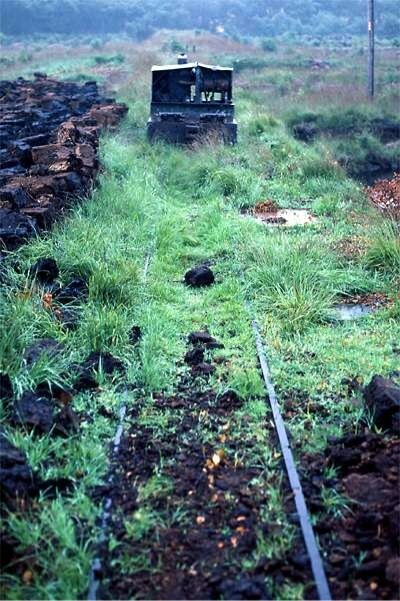 It was clear as we passed Pennyvenie mine that working had ceased - the Waterside "pug" was in use, the following dreich morning, to shunt in the yard beside the exchange sidings. 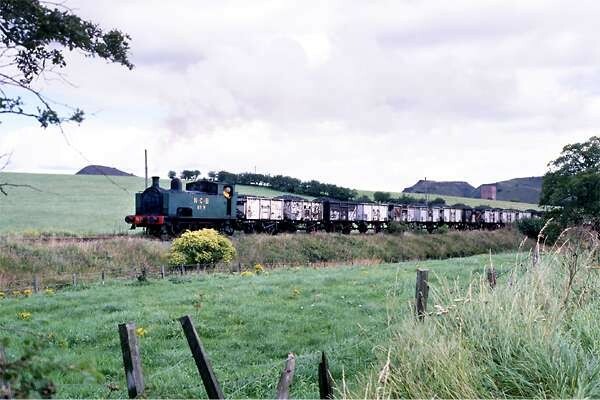 A pair of 20s (003 leading) departed with a loaded train. We left too. My companion for this trip, a sterling fellow, has a strange compulsion to study buses (I always thought of them as "the enemy"!). "There's a private operator near here which we need to check out". We did. 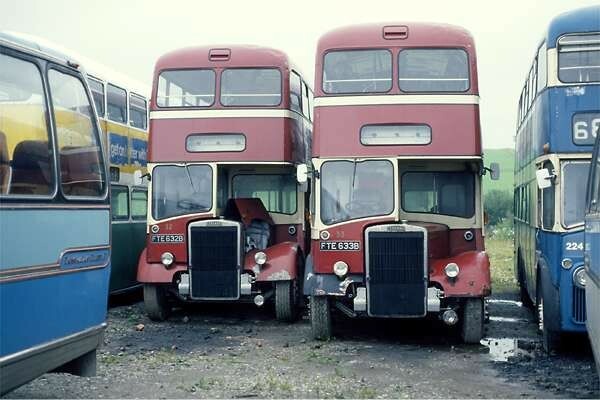 There were some buses. 'Nuff said. We headed eastwards (after a fine pint of Maclay's, I think it was, in Strathaven - served by those strange water-engines once used widely north of the border) and headed for the peaty moors The following day we headed once again for Bedlay, where this time we were able to photograph steam in action - and, yes, it was No 9. 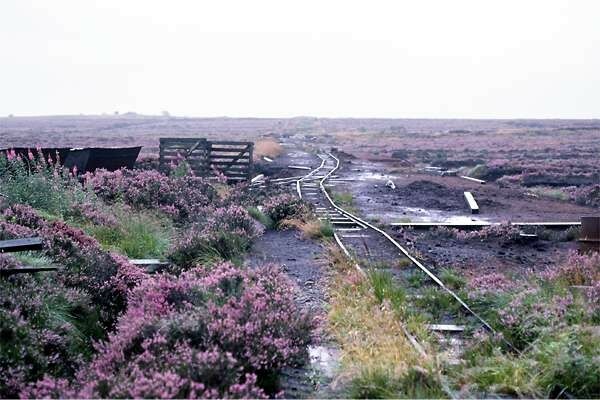 We spent some time on the minor road which accompanied the line from the pit to the exchange sidings, as a train was weighed and then worked along the branch. 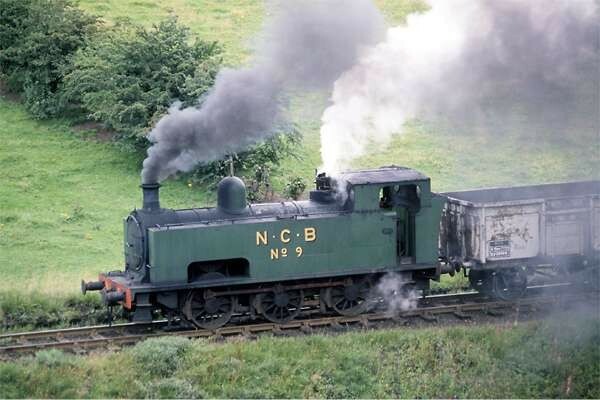 No 9 lives on - preserved at Summerlee Heritage Park at Coatbridge. 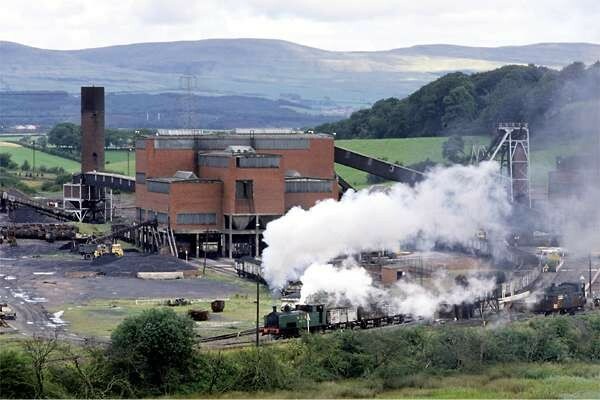 We left Bedlay with some reluctance and headed for Polkemmet, where we had a permit to enter the coal board premises. 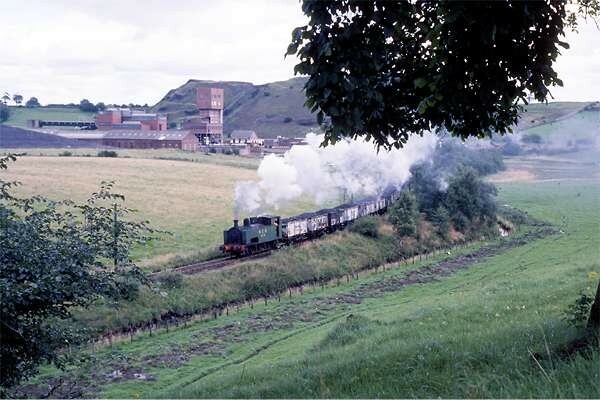 Sadly, once again we were too late - the last train up the steeply graded line to the exchange sidings had gone - we were in time to see the loco drifting back down to the shed, where the fire was dropped for the day. 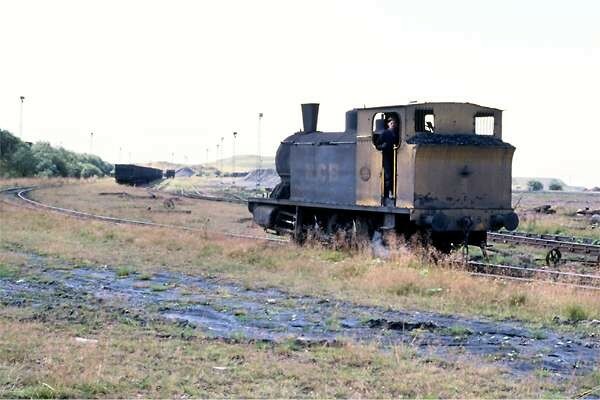 There were several locos at Polkemmet at this time - most being dumped out of use. 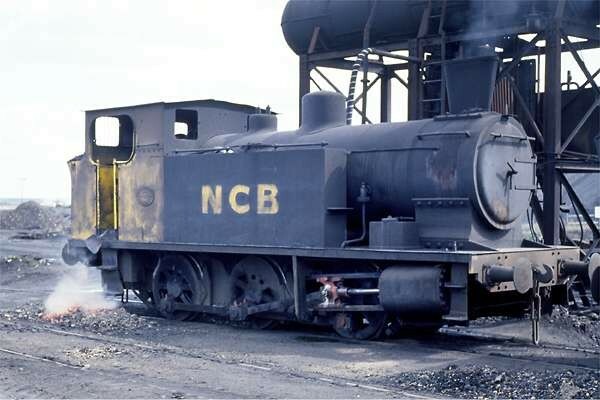 The working loco, No 8, was a complete contrast to No 9 at Bedlay - a hefty Barclay side tank, with Giesl ejecter, painted in the somewhat unsympathetic NCB lorry livery of dark blue and yellow. Looking an altogether more modern locomotive, it is perhaps surprising to learn that AB 1296 was built in 1912, just three years after No 9. 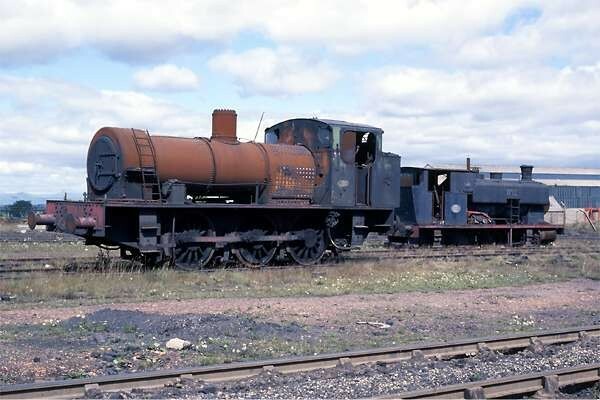 No 8 is now preserved at Waterside, and the part dismantled "Austerity" in the picture is at Bo'ness. 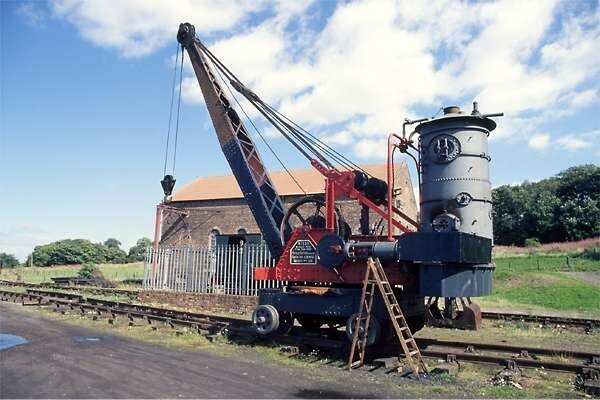 Just one more port of call remained, before our journey home - a preservation site, Prestongrange Mining Museum. Illustrated are those items of stock which were visible - No 17, AB 2219 of 1946, No 7 "Prestongrange", Grant Richie 536 of 1914, and last but not least, a rather nice little "cream stain", or to be precise, a Whittakers Patent Steam Crane Navvy. And that was it - home again! 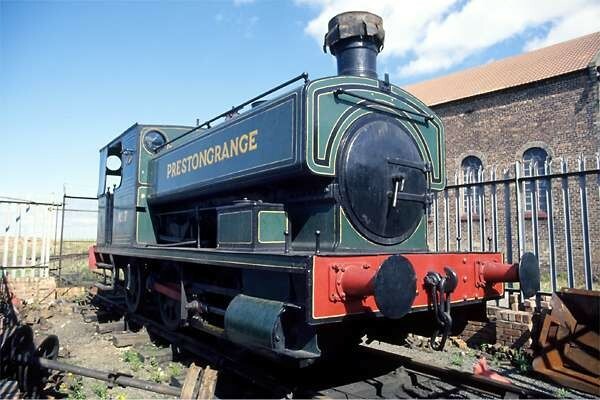 Links: • Ayrshire Railway Preservation Group • Prestongrange Museum • Industrial Railway Society between Glasgow and Edinburgh. Our first destination was the works of Messrs. Guerts, near Longriggend. 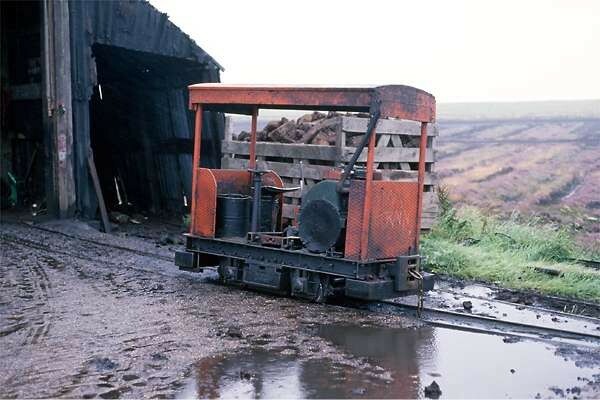 The works was clearly closed, and there was no sign of the loco, a Ruston of 1938. We later discovered it had been stolen! (not guilty, honest!). 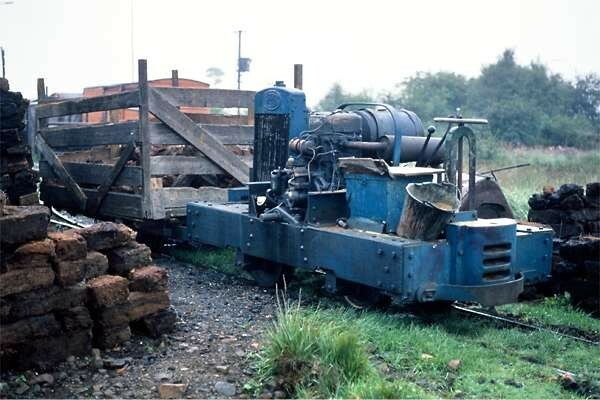 We moved on the very short distance to the works of Lanarkshire Moss Litter, where their Lister (5114 of 1933) "Drumbow Express" (!) was in use, though not actually doing very much. We took a couple of snaps for the record, and wandered on. "We ought to look in at Bedlay, it's not far from here - see what's going on". Once again, the answer was "not much" - the shift had finished. 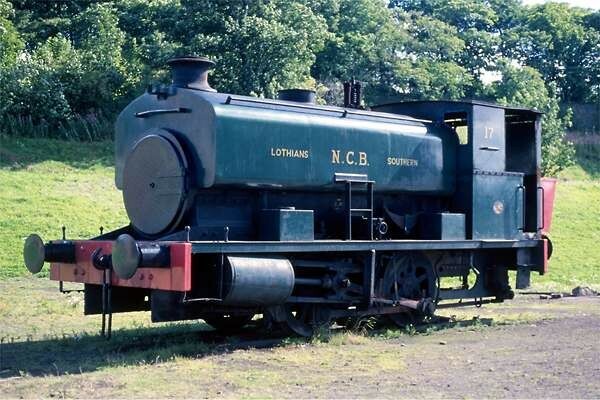 There were two locos at Bedlay - No. 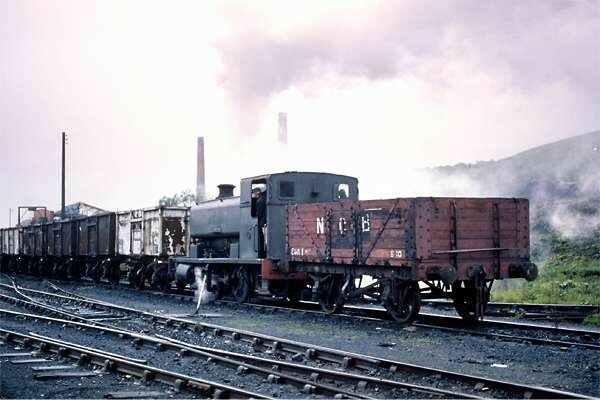 9, a fine Hudswell Clarke 0-6-0T, 895 of 1909, and a modern Barclay "pug". It looked as though No. 9 had been in use earlier in the day "Let's hope it's in use tomorrow..." Last photo stop of the day was another peat works - Hewden's at Moodiesburn. Once again, work had finished for the day, so after a couple of snaps we decided we too would call it a day. 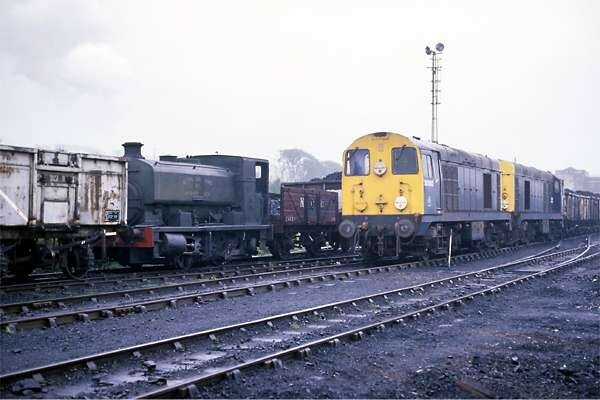 Of the two locos there, one was dumped at the end of the track, out of use. 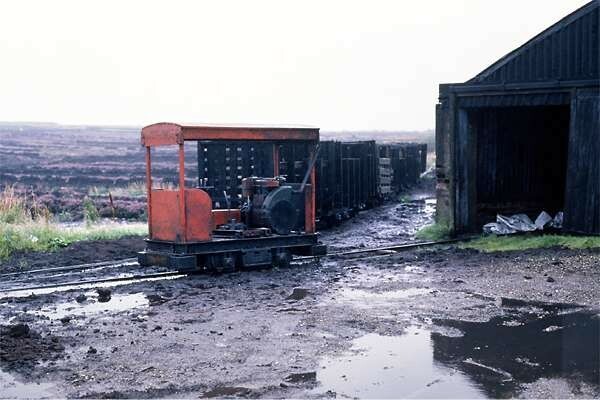 I met it again recently - its remains now live at Leadhills, a brake van having been built on the now-engineless chassis.